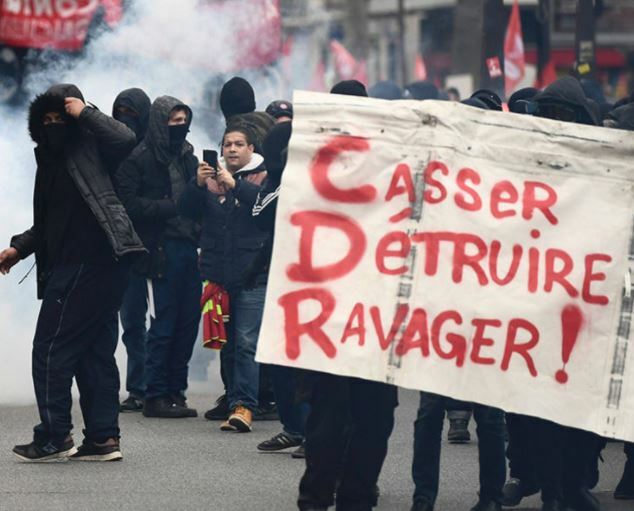 The riots is France have been forming for the last two weeks and have now erupted violently with protesters carrying banners that read “Break Destroy Ravage” that is similar to the destructive forces unleashed in Hamburg. The police report that the mob is composed of the youth. It is hard to see how these people can practice restraint when unemployment among the youth is so high because of taxes and regulation prevent small businesses from forming.